Good morning, Nashville. The North American Street Newspaper Association’s annual convention is being held in Nashville this weekend. Staff from street papers similar to Nashville’s own The Contributor will gather to discuss strategies, learn from each other and celebrate successes – like Nashville. The Contributor, just 4 years old, is the most successful street paper in North America with 400 vendors who sell an average of 110,000 papers a month. 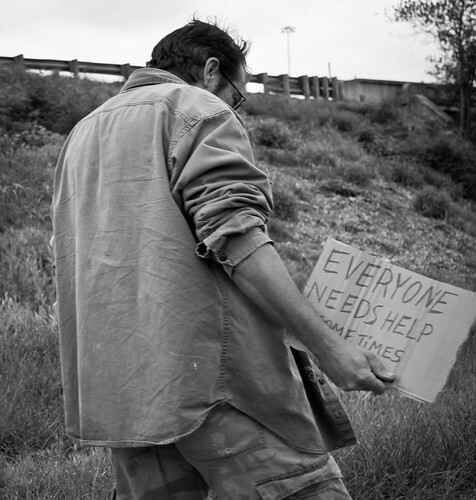 As many as a third of them have been able to earn enough money to get off the streets. The growth hasn’t come without its difficulties, but Contributor director Tasha French cites the “very good, giving community” in Nashville as the reason for the paper’s success. Marshal Gill. Vince Gill will be the Grand Marshal for this year’s downtown Christmas parade, held on December 2. Mayor Dean has also dubbed this week “Vince Gill Week” to honor the singer for his longtime support of Nashville through benefit and volunteer work. Tax day redux. If you’re one of the 169,000 Tennesseans who filed for a six month tax extension back in April, you’ve got until Monday to get your taxes in. Robberies. Let’s chat about a handful of interesting robbers who are on the loose right now. First, there’s this guy who robbed the East Nashville Family Dollar and has a tattoo of green wings on the back of his head. Next, we have this teen who tried to rob a Mapco by pointing his finger at the clerk. Then we have the Murfreesboro Pharmacy Robber, who has been using tactics like chainsawing through siding and ramming pickup trucks through brick walls to steal prescription narcotics. And finally, the sheriff in Hawkins County, TN is looking for a “stout” thief, as a 450 pound pig has gone missing from its pen. Bits & pieces. The Preds lost their season opener last night to the Coyotes, 5-2. Better luck next time, boys … Taylor Swift has donated 6,000 books to the Reading, PA library near where she grew up … Keyboard player and vocalist for the Charlie Daniels Band, Joel “Taz” DeGregorio was killed Wednesday night in a car crash while driving to meet the tour bus … Nissan has partnered with the Preds as the franchise’s non-luxury import automotive partner. The deal will rename the front entrance of the arena as the Nissan Entrance, among other things … The Human Rights Campaign’s On The Road to Equality bus tour will stop in Nashville today, spreading the message of LGBT equality … Justin Bieber has posted a behind-the-scenes video of the making of his newest music video, which was filmed in Franklin.